Let’s face it; we’ve all had those lazy days where we don’t want to head into our office to work on our laptops. 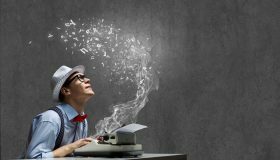 After all, the whole purpose of having a laptop is to be able to use them anywhere, including in bed or sitting and reclining on the sofa. Here are some of the factors to assess when buying the best laptop stand for your bed. 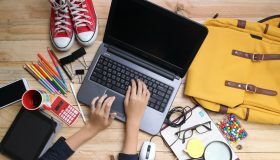 Laptop manufacturers make today’s computers more portable and lighter, but they can still be cumbersome to use sitting down or relaxing. Maybe you’re sick or just feeling sluggish; either way, a portable laptop stand is the perfect desk for these days. Laptop stands can be an ergonomic disaster, so it’s vital to choose one that promotes healthy posture and has the features you require. Choosing the right laptop stand for your needs may seem daunting because there are so many on the market today. When you spend much of your time surfing the net or working on your laptop, comfort is crucial. You also need to ensure that the stand you buy is compatible with your laptop model and make. If you want to utilize the stand as a breakfast table or view your tablet too, you should purchase a larger one with slots for your electronics. All of your requirements also depend on the design you are looking for as well as your budget. 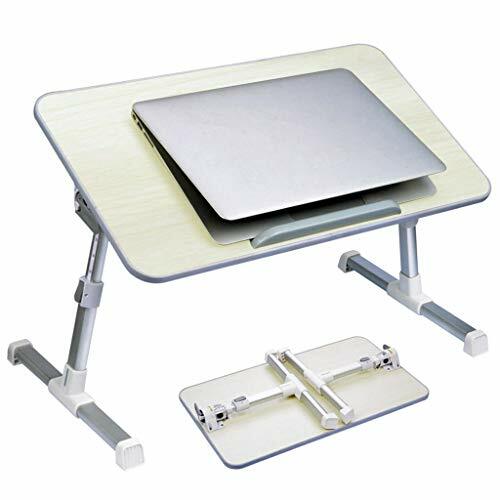 There are plenty of features available with laptop stands for the bed and the ones you choose depend on how you intend to use the tray. Here are some features to look for in a laptop stand. The best laptop stands raise your computer so that its 1 to 2 inches above your eye level when you’re standing up or sitting. You should also consider using an external mouse and keyboard for better posture. Since every person is different, a fixed-height stand for your laptop won’t work. You need to be able to adjust the screen height to your specific standing or sitting postures. Some laptops stands have adjustable legs as well as angle adjustment so you can tilt the table to for a better view of the screen. One of the most essential features of a good laptop stand is how well it’s built. A sturdy laptop stand provides a stable foundation for you to work on with minimal shaking or wobbling. The table should also be able to hold bigger laptops as well. Your laptop stand should be light and portable for traveling. It should fold up quickly if need be and be as compact as possible without compromising durability. 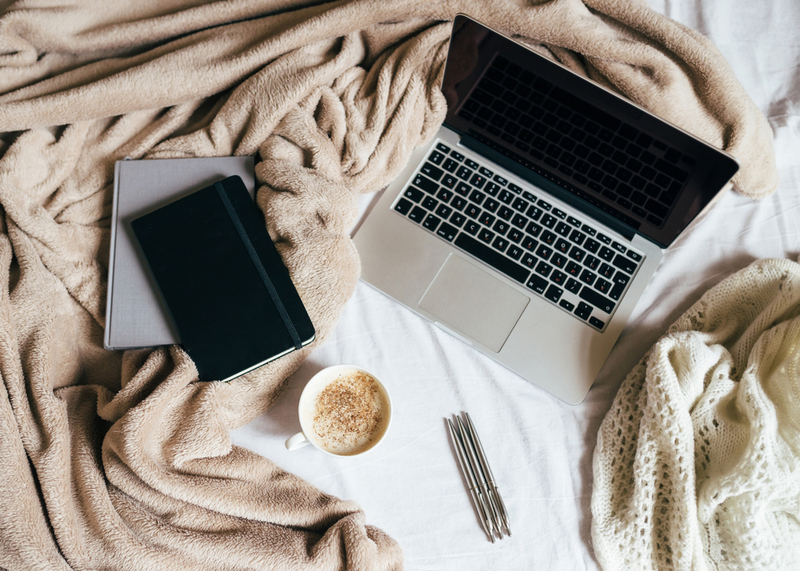 The best laptop for bed should be attractive. While it doesn’t have to match your furniture since it’s not considered a permanent object in your home, it’s still out where people can see it. You probably use it regularly, so you certainly don’t want it to be unattractive. Another great feature is a space located centrally in the back of the stand to run your cords and cables through. 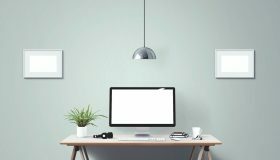 This feature will leave you with a tidy workspace, and you won’t have to fight a tangle of cords and wires. If you use a wireless mouse, you will benefit from a laptop stand that has an integrated mouse pad. This mouse pad sets you up to use your wireless mouse comfortably. While laptop desks for bed are small, some still come with storage compartments. There are stands with pouches on the side for small items like pens and paper. Some computer stands have an extra wide surface so you can take notes next to your laptop. Extra space gives you the sensation of working on a full-sized desk. Just because you’re not working on a traditional desk doesn’t mean that you need to sacrifice comfort. Many laptop stands come with wrist guards that are padded to enhance circulation and reduce pressure on your wrists. Other stands include bolster pillows or memory foam for more comfort. We’ve taken the time to research available stands for you, so let’s take a look at some of the best ones. If you’ve ever slept in a memory foam bed than you know how comfortable they are since they mold to your body while providing vital support. The Sofia + Sam stand offers a comfortable memory foam design with a wrist rest. It also comes with a handle for convenient portability. This inexpensive laptop stand is a favorite for many buyers. It’s oversized with plenty of surface space for your computer and mouse which is essential since many people use an aftermarket mouse instead of the awkward one that laptops come with. 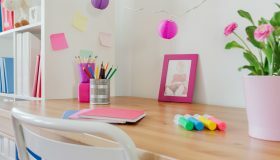 This desk is multipurpose because you can also use it for reading, writing, or craft projects. Its large size means it supports large laptops up to 20 inches or smaller models. 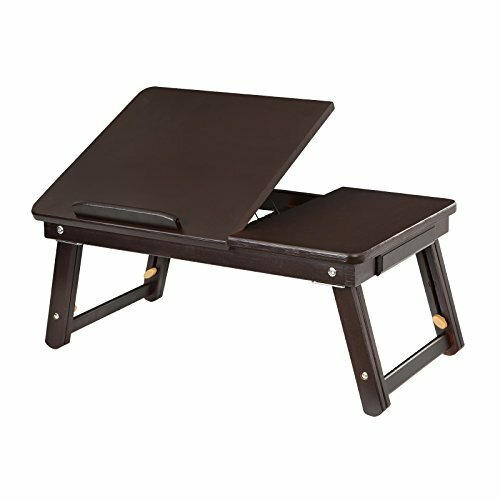 The dimensions for this lap desk are 22 x 14.5 x 2.55 inches. A bonus is the low price. You get excellent value at a minimal cost. 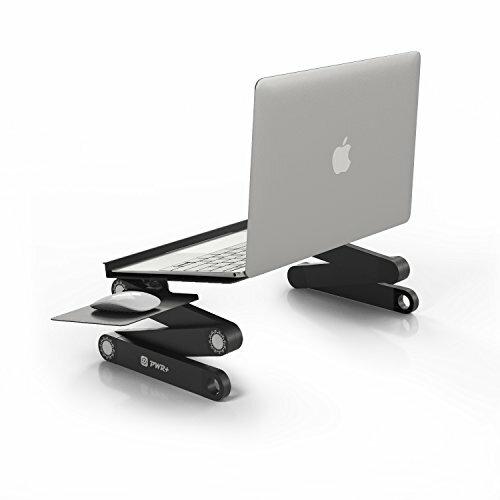 The single-cushion design means that this laptop stand can accommodate people with shorter legs. It’s a flexible option for people of all body types and heights. 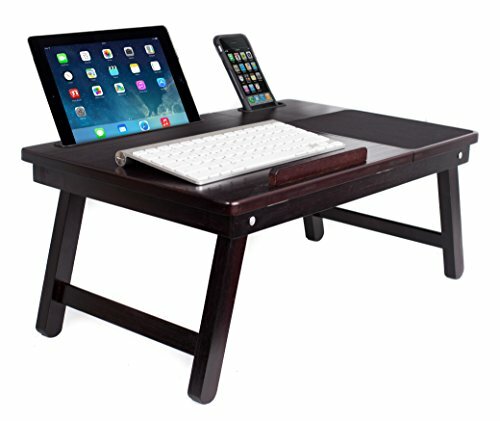 Thousands of customers have chosen this laptop table and love it. Its versatility is impressive as you can use it at work or in your home office. You can also use it as a snack tray, standing desk, or even a foot table for breakfast in bed. Utilize it along with your traditional desk so that you can work standing up. This flexibility frees you from health issues such as a stiff neck, backache, and other stiffness often associated with sitting in the same position for hours at a time. It’s easy to use with an adjustable height from 9.4 to 12.6 inches. Each side of this lap desk has an auto-lock button. The surface angle is also adjustable from 0-30 by simply pulling one of the lock buttons and releasing it once you reach the desired angle. This desk is sturdy yet light which is excellent for portability. It’s made 100 percent from high quality, environmentally friendly, engineered wood. It’s also ergonomic for enhanced comfort. This desk folds up for traveling convenience, and it’s easy to put away. This multipurpose lap desk functions as a breakfast table, a surface to read and write on, as well as a laptop or tablet table. It comes in black, natural, or brown, so it matches the décor in your home or office. SONGMICS made this table from 100 percent bamboo, so it’s environmentally friendly as well as solid and durable. It’s sturdy enough to hold heavy equipment without breaking. This table can hold up to 17 lbs. and is a great size for laptops in the 15-inch range. There’s a small storage drawer for storing stickers, flash disks, and pens. It has 5 separate angle positions from 9.1 to 13.8 inches, so it’s quite adaptable to each person who utilizes it. This desk has 3 metal latches that reduce instability in the table’s legs for a more secure workspace. Be careful how long you leave your laptop on the stand as it may overheat since there are no cooling slots. It comes to you pre-assembled, so there is no need to worry with the hassle of putting it together. You can start using it immediately. It’s portable so you can take it out of the house to use on picnics or if you’re staying in a hotel and need a reliable workstation. 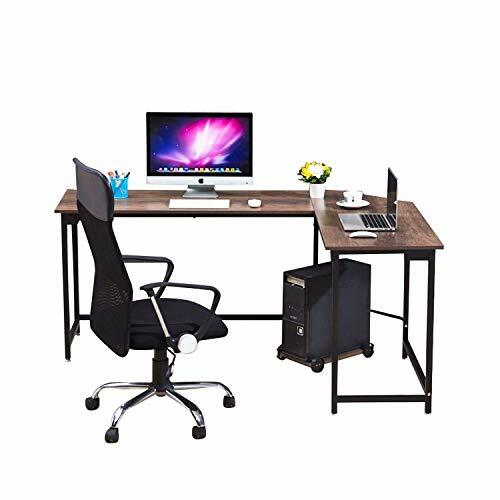 This economically priced lap desk is great for reading, writing, playing games, eating, or working on your laptop from your favorite comfy chair or bed. The tablet slot fits tablets that are 9.6 inches or smaller, and the smartphone slot fits smartphones 3.5 inches or smaller. It can accommodate laptops up to 18 inches. There is also a great storage drawer that’s the perfect place to hold your pens and pencils. You also have plenty of room to maneuver your mouse on this surface. The legs fold down for easy storage and its easy to carry with you when traveling since it only weighs 5.5 lbs. The dimensions for this table are 21.5 x 13.75 x 9.25 inches. The top adjusts for the angle that suits you best and means that more than one person can use it comfortably. Since this table lets you use your laptop and tablet at the same time, it’s the ultimate in convenience. No more moving cords and other items around. It’s durable and versatile so you can use it in a bed or on the sofa. It provides a stable platform for your workstation. There’s no need to put it together because it comes pre-assembled. Just unpack it and get to work. This ergonomic laptop table is durable yet lightweight and with a tray crafted from aluminum. It’s a stable support for your computer, and you can rotate it 360 degrees while locking the stand at various angles. It collapses quickly, so it’s excellent for traveling. Also, adjust the legs to any height you need. The stand doesn’t take up much space so its great for small offices or rooms too. It comes pre-assembled, so there is no frustration with assembling this desk. This table also comes equipped with CPU cooling fans powered by USB. The fans help prevent your laptop from overheating. A multipurpose surface, you can use this desk for gaming, reading, writing, eating, like a foldable desk, standing desk converter, or tablet and laptop holder. Gift this desk to anyone, and you’re guaranteed to have a gift that anyone can use. This laptop desk comes with a 30-day refund or 24-month exchange warranty so if you’re not happy with your purchase you can send it back. As a US-based company they have great customer service if you need any help during the buying process or when you’re using the stand. Laptop stands for beds or sofas are the ultimate in convenience and portability. You can easily travel with them or work in bed when you’re having a sick day. 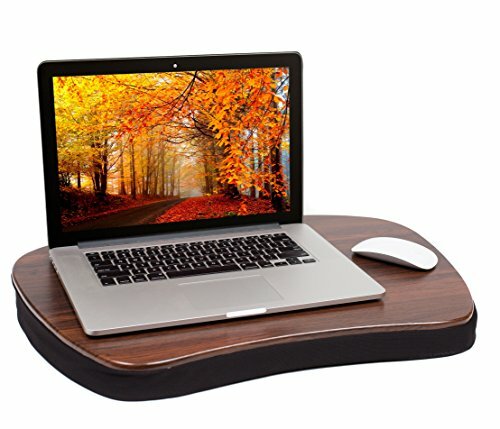 A well-made laptop stand provides stability for computer work, and they come in a variety of styles and designs. You can also use them for many purposes such as a breakfast tray, table for reading and writing, gaming table, and more. Pick a desk with adjustable settings for a variety of activities and more than one person in the family can utilize it. 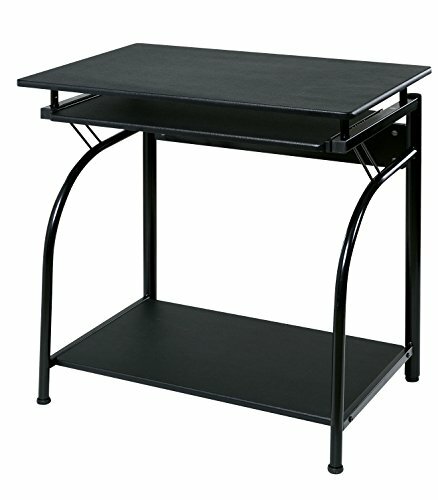 These stands are perfect for students or anyone who travels a lot and works on their computer regularly. Flexibility and versatility are critical as well as comfort. 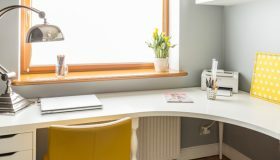 We hope that this review has given you a few ideas for good laptop desks for beds or at the very least an idea of what you’re looking for in a lap desk.